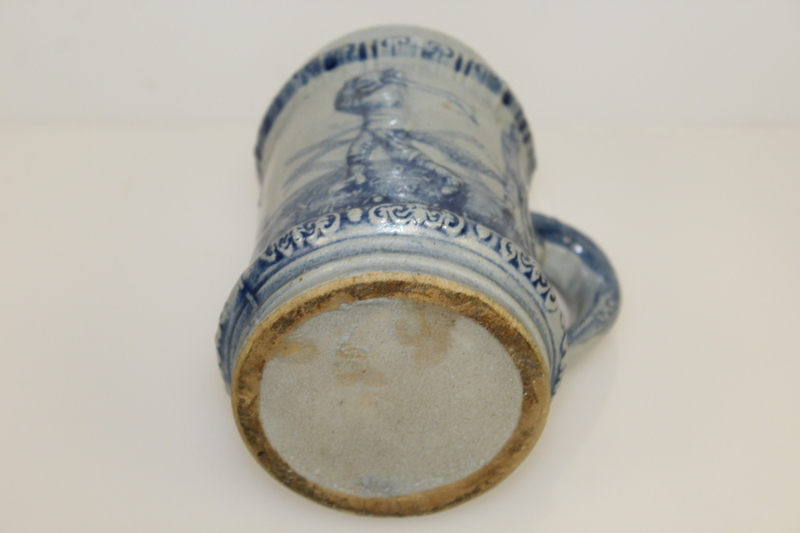 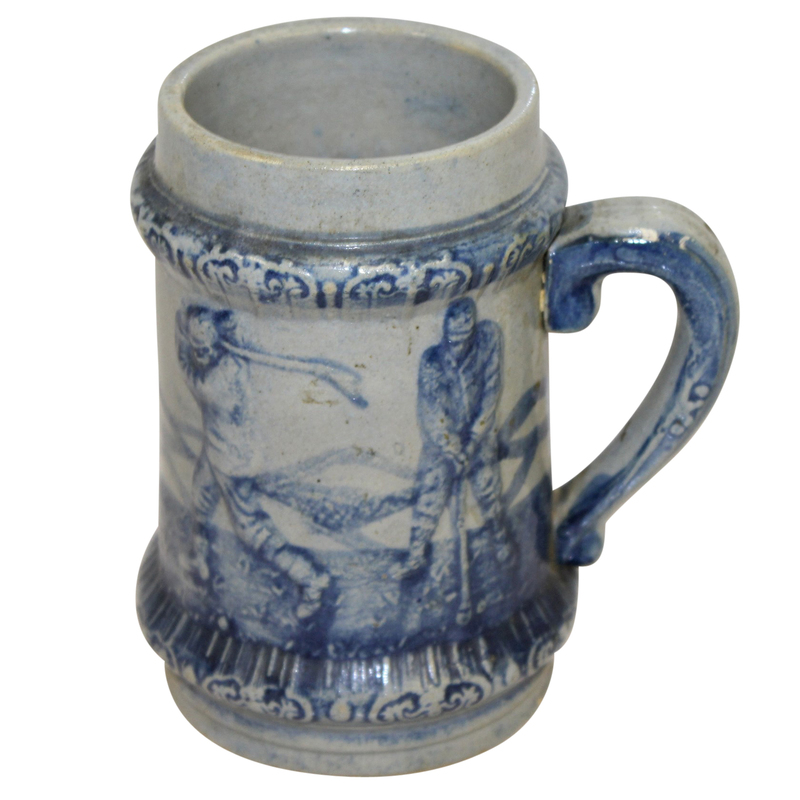 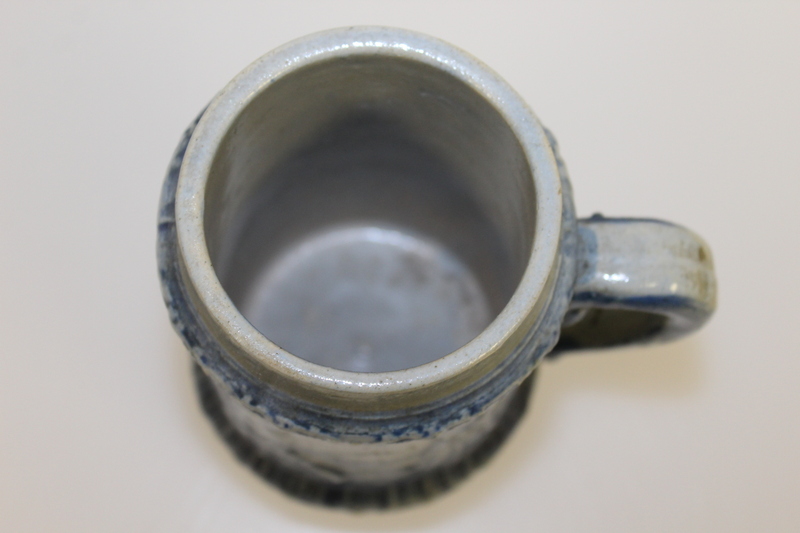 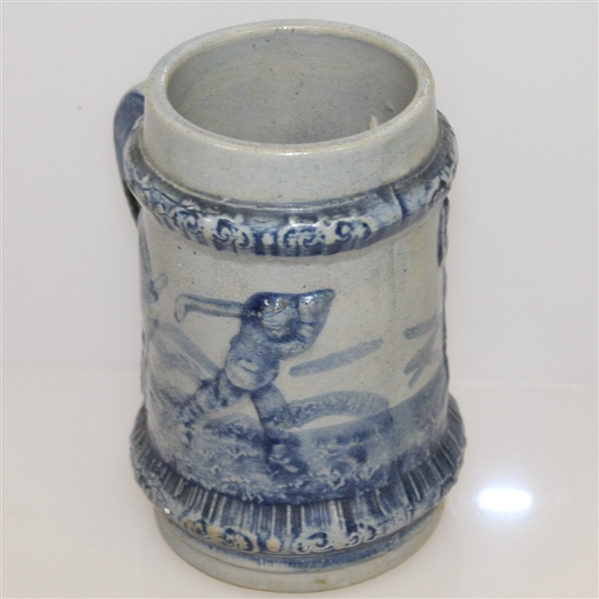 Offered here is a blue and white golf themed beer stein/mug from the early 1900's. 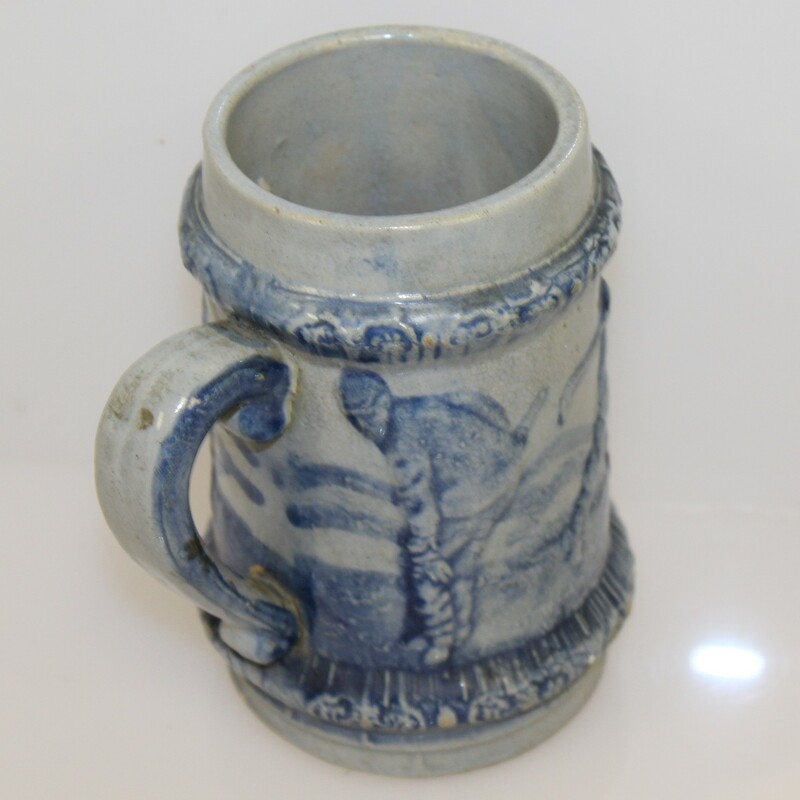 The mug comes in great condition and stands 5 3/4" tall. 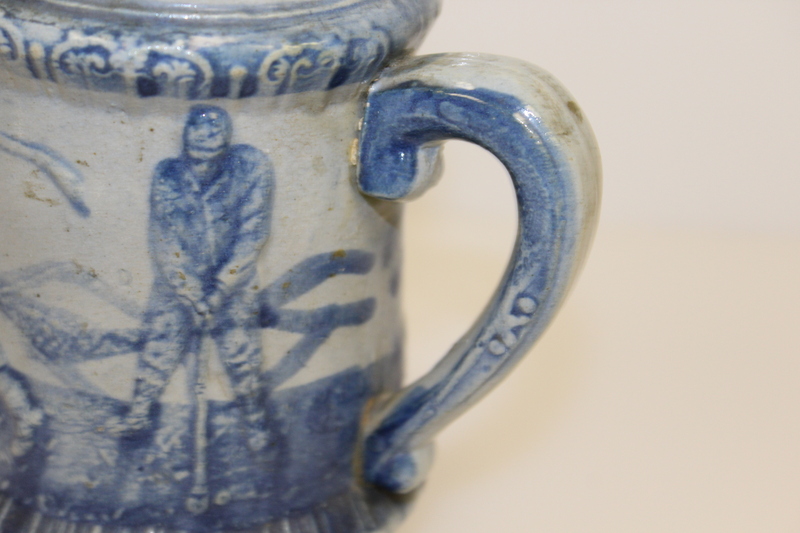 Golfers are shown in various positions and the handle and top and bottom of the mug are ornately detailed.